Stroll on a Camel ! Browse the palm camel ! For a relaxing time with friends or family with children. 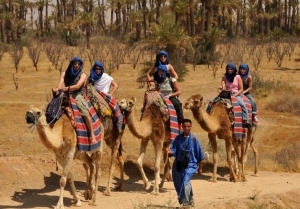 On the slopes of the palm discover the authenticity dressed Tuareg shesh and gandora are provided. Admire the snowy Atlas and refresh you in the shade of palm trees. 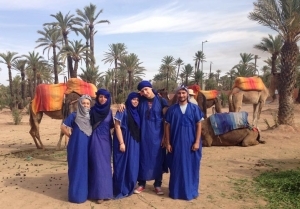 Let us guide you, we will pick you up at your hotel and take you to the starting point of the ride or camel driver will be waiting to accompany you on the slopes of the palm grove and will then take you to drink the famous Berber whiskey (mint tea) .